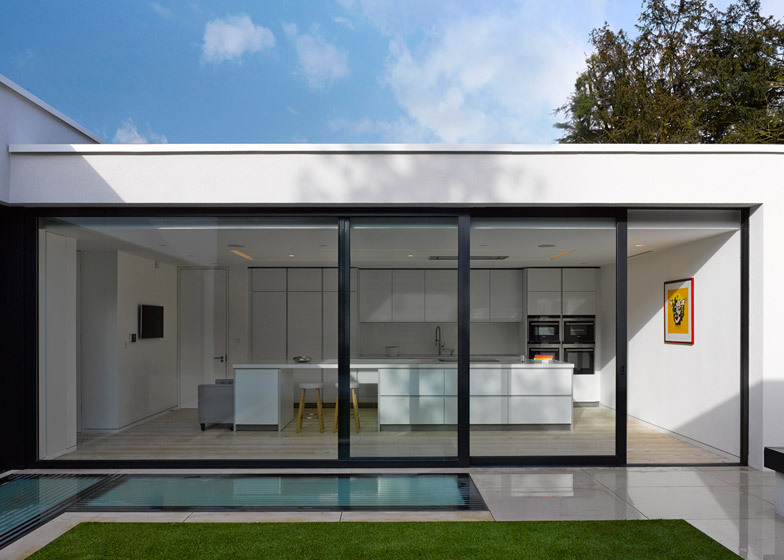 Canaway Fleming Architects has completed an "unashamedly modern" house in a north London conservation area, featuring rooms that frame a series of small courtyards (+ slideshow). The two-storey Courtyard House is located behind a 17th-century cottage in North End, Hampstead. But unlike its historic and traditional neighbour, the residence was designed as a series of simple white-rendered blocks. According to London-based Canaway Fleming, the intention was to create a building that is sensitive to its context, but that also offers a "calm, serene quality" to the residents – a couple with a young child. 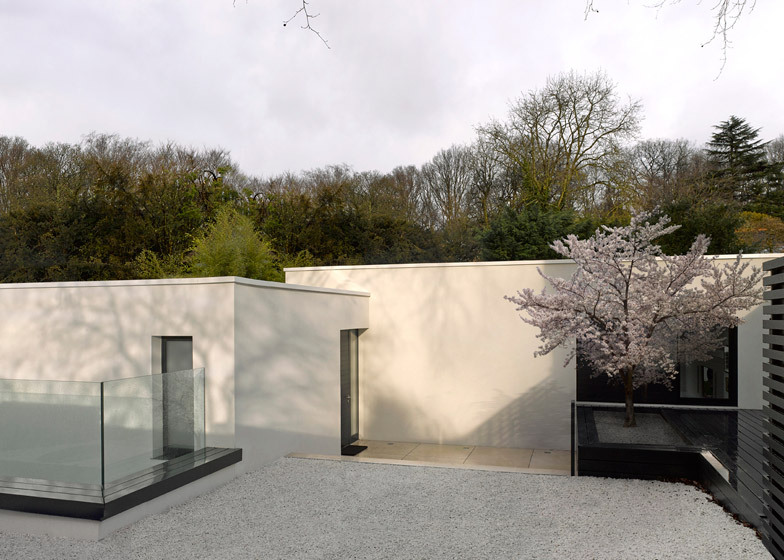 It is the latest in a series of contemporary houses completed in the area – a notoriously difficult place to win planning permission – following a timber and stone building by Stanton Williams and a fabric-clad artist's house by Guard Tillman Pollock. "Any intervention on the site had to be handled extremely carefully to respect the existing historic structures and the sensitivity conservation area as a whole," explained architects Martin Canaway and Nick Fleming. "The form and materials of the house are deliberately homogenous to provide a sculptural quality that responds to the changes in light during the day and seasons," they said. The plan was organised around a pair of mature trees, which allowed courtyards to be created at the south and east corners of the plot. Small terraces were then added at the two remaining corners, while a fifth courtyard was created within the volume of the house. Only one of the building's two storeys is located above ground. It contains a living and dining space and a separate kitchen, both of which open out to different courtyards. There is also a small study that faces a courtyard on one side and a staircase on the other. All rooms on this floor features simple furnishings, with white surfaces and cupboards, and pale wooden flooring. Colour is introduced infrequently, with examples including an artwork hanging in the kitchen. The larger basement storey wraps around the sunken internal courtyard, allowing plenty of light to filter into a master bedroom suite. Three smaller bedrooms are also located on this floor, illuminated by skylights overhead. 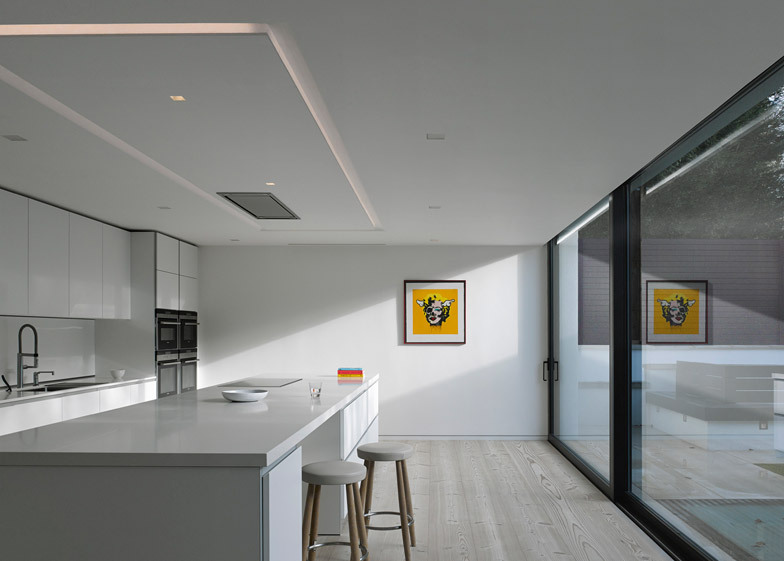 "The basement rooms are made light and airy by the introduction of double and triple-height lightwells that provide natural ventilation and daylight, and essentially breathe life into the rooms," said the architects. "In addition these courtyard spaces are arranged to provide unexpected and long views, making the house feel extremely spacious despite being, in large, part subterranean." 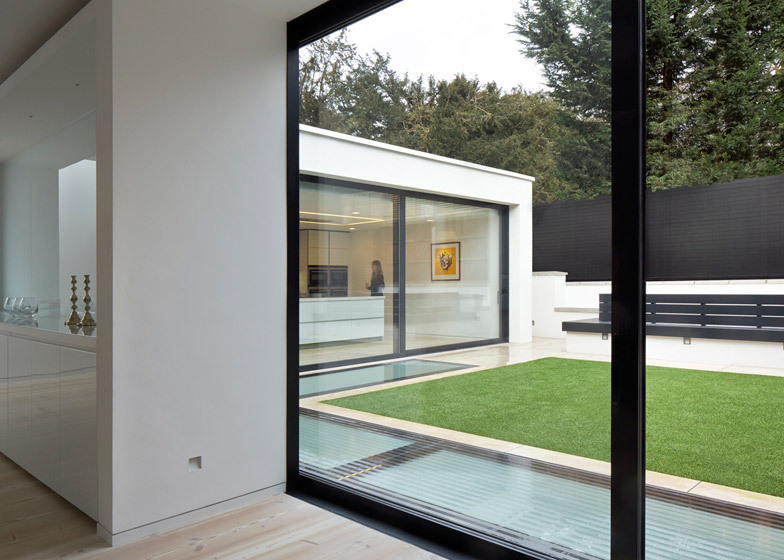 The architects specified a well-insulated reinforced-concrete structure, providing a comfortable environment inside the house and ensuring that residents won't hear or feel the movements of London Underground trains running nearby.